The Planning Board consists of volunteer residents appointed by the Mayor & Council who are responsible for preparing the Township Master Plan in compliance with provisions of the New Jersey Municipal Land Use Law (MLUL) and who are responsible for reviewing zoning ordinances referred to them by the Mayor & Council. The Planning Board consists of nine (9) members and two (2) alternate members. 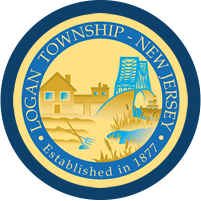 The Board is assisted by a professional staff consisting of: Logan Township Engineer, Administrative Officer/Board Secretary, Attorney, and Professional Planner. Applicants who are contemplating a future proposal for their property to be submitted to the Planning Board, may take advantage of the opportunity to discuss their project on an informal basis with the Planning Board review Committee. Pre-application Review Committee meetings are available by scheduling with the Planning Board Secretary.